PAPA ROBBIE.NET: Mutabaruka: "Melanin Man"
Just click on the link, hit "free" at the bottom of the page and follow the directions. His poems have given voice to a nation and helped forge an entirely new genre of music, dub/rhythm poetry. Revolutionary, fiery, scathing, and stinging, Mutabaruka's words are as potent on paper as on CD, and so the literary community needed to create a new term just for his works -- meta-dub. Born in Rae Town, Jamaica, on December 12, 1952, Allan Hope first realized the power of the word when he was in his teens. It was the '60s; the Black Power movement was at its height, and numerous radical leaders were putting their thoughts and histories in print. Malcolm X and Eldridge Cleaver formed the roots of Hope's own aspirations, although his initial career choice was far removed from their paths. Leaving school, the young man apprenticed as an electrician, and took a job at the Jamaican Telephone Company. Hope was already writing, however, and in 1971 he quit his job to pursue his craft full-time. He moved away from the hustle and bustle of Kingston out to the quiet of the Potosi hills, in the parish of Saint James. Not long after, one of his poems was accepted by Swing magazine and from that point on, they would regularly publish his work. In 1973, Hope formed the band Truth, his first attempt to combine his words with music. By now, the poet had converted to Rastafarianism and taken the name Mutabaruka. Not a word, but a phrase, mutabaruka comes from the Rwandan language and translates as "one who is always victorious." Even as roots was taking hold, Truth did not find a following. However, Mutabaruka was finding fans in the literary world after the publication of his collection, Outcry, in 1973. The following year brought further recognition with the poem Wailin',dedicated to Bob Marley, and written around Wailers song titles. Two years later, Sun and Moon, a shared volume of poetry with Faybiene, arrived to much acclaim. In 1977, Mutabaruka once again turned to the stage, and gave several live performances. Joined by the nyabinghi-fueled group Light of Saba, the poet recorded a version of his poem Outcry the next year, and found himself with a Jamaican hit. Meanwhile, guitarist Earl "Chinna" Smith had launched his own High Times label as a home for deep roots music, and swiftly signed the poet. Mutabaruka's star was rising, and his appearance at the National Stadium in Kingston this same year was a smashing success. Over the next few years, he cut a clutch of singles for High Times, and received even further literary acclaim in 1981 with a new volume of poems, The Book: First Poems. That same year, Mutabaruka had a hit with the single "Everytime a Ear De Soun," while his fiery debut at Reggae Sunsplash was captured for posterity for a live album released in 1982. It was this performance that brought Mutabaruka to international attention, and guaranteed return appearance at the festival over the next two years. His debut album, Check It, was released in 1983, a dubby classic with the poet accompanied by Smith's exquisitely rootsy guitar. The album was remastered and reissued by the RAS label in 2001. 1985 saw another successful return to Reggae Sunsplash and a project with the American Heartbeat label, overseeing the compilation of the dub poetry album Work Sound 'Ave Power: Dub Poets and Dub. A dub accompaniment followed, remixed by Scientist, along with a second dub poetry set, Woman Talk: Caribbean Dub Poetry, this time exclusively featuring women dub and rapso poets. 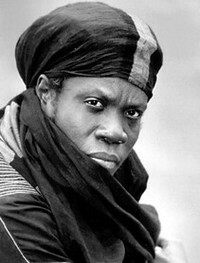 Mutabaruka also struck a distribution deal with the American RAS label, and cemented the partnership with the ferocious The Mystery Unfolds album in 1986. Self-produced and featuring a host of guest musicians and vocalists, including Marcia Griffiths and Ini Kamoze, Mystery was totally uncompromising. Amidst a host of tough tracks was "Dis Poem," a number meant to puncture not only the listener's expectations, but the poet's pretensions as well. One of Mutabaruka's most entertaining, yet thought-provoking poems, it would later be included in the definitive The Routledge Reader in Caribbean Literature.